I would have thought they were high enough. I altered the lighting and increased the shading rate to 0.05 and they pretty much dissapeared, but I shouldn't really have to cranked the settings up that high. Scorpio64dragon, I noticed something about your advanced settings; your Shadow Samples rate and Pixel Samples settings are extremely high. You have Shadow Samples at 48. Try lowering it down to around 16-20 and see if that helps and you don't have to lower your shading rate to that low. 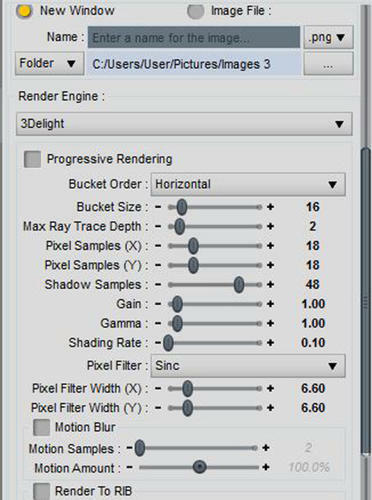 Around .50 will give you very nice renders without killing your machine. 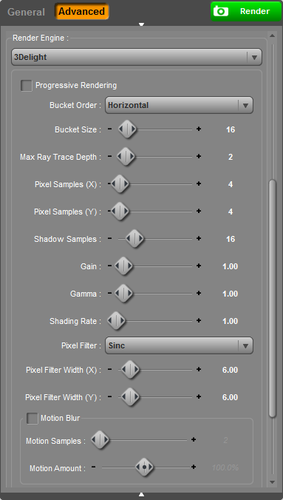 As for the Pixel Samples try lowering them down to between 6-10 and up your Raytrace to about 3-4. A while back Fisty had listed what she had put her advanced settings to and I copied her settings and have not had any issues with seams, etc since. It might not make any difference at all on your machine but sometimes just having one setting really high can throw up weird issues in the scene. Am I just cursed today, or has anyone else found that downloading the DSON Core PC files for the Dragon Rage and Night Out texture expansions gets them the Mac .zip files, and vice versa? No, you're not alone. Someone in QA needs more coffee. The PoserCF files on the base set originally had both Mac and PC links downloading the PC version. That's twice in one week for getting the links wrong. Reset and check the downloads again. The PoserCF file has been fixed. Don't know about the other. Any chance of a render of Takeo? It'd be great to see him in action. I apologize if this has been asked already but I am a little confused and still trying to learn about the different files and the new DSON. I noticed on my H5 downloads that some of the products have a legacy file and some don't. My question is....does it matter? Will the DSON files install the product for DS4.5 and the Poser Companion files install the product for Poser? Sorry but I am behind on learning the new stuff. Legacy files are for versions of DS Pro prior to DS4.5. You don't need them. Ok great. I do have 4.5.1.6 so all I need is the DSON and the Poser companion files. The problem is if I drop the settings too much I get blotchy dirty (yes I have the Uberenvironment settings set right) renders, these settings don't kill my machine. Information on render settings seems to change ever now and then. Different people say different things, so I tend to stick with the settings that suit me. I've never had problems with seams before so I wonder why its cropped up only on this texture. Anyway I used another texture. I did a render of Takeo, and found seams with this texture as well. After a few experiments I think its the shader settings I use, out of the box there seem to be no seams but with shaders applied I got seams showing. Anyway heres a render of Takeo. Great render! I think that he's a great looking character, can't wait to mix him up. 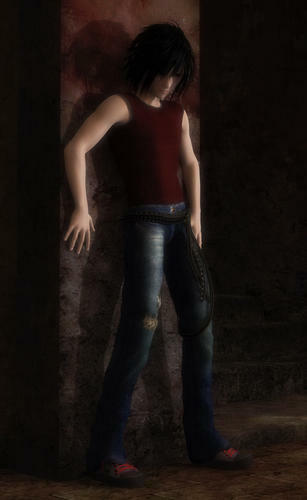 Very cool render!!!! What hair is it? Am I the only one who is seeing Hiro 5 causing Genesis to scale to 113%? Am I doing something wrong, or did I somehow foul up the product installation? No, this is his correct height. He is taller than previous Hiro versions. Oh good; but out of curiosity, any particular reason for this? He's supposed to be that tall. It puts it more in line with other male 3D anime figures. Hitomi and Takashi (Hiro5) take their influences more from those figures than previous generations of Hiro and Aiko, hence the other names were more fitting. Don't compare it to the other DAZ figures. I have a few japanese anime figures and they're pretty tall too. Thank you its the Hermes hair.